Expanded clay aggregates, also called exclay, or lightweight expanded clay aggregates (LECA), are a beneficial material in a growing number of industries – most notably construction and horticulture, with water treatment and filtration applications likely next in line. The unique structure and physical properties of expanded clay, which lend use to a variety of applications, are produced as a result of carefully controlled thermal treatment (typically referred to as either calcination or sintering) carried out in a rotary kiln. The properties of expanded clay that make it ideal for use in a given application are achieved through a highly engineered production process. Clays are typically crushed, agglomerated and/or dried as a means of feedstock preparation, though this process can vary. Extrusion seems to be the preferred method of agglomeration in this setting, but other methods may also be explored. While feedstock preparation is essential in producing expanded clay aggregates, the key process behind expanded clay aggregates is a thermal treatment. This thermal treatment is where the expanded clay aggregate name is derived from, as it is used to physically expand the clay particles. There are various terms to describe such thermal treatment techniques. In this setting, the treatment is typically referred to as either calcination or sintering. While the two terms are often used interchangeably, it’s important to note that they technically refer to different techniques. Since sintering technically happens at much higher temperatures, for the purposes of this article, we’ll refer to it as calcination, though in some cases expanded aggregates may be truly sintered. This release of gases causes a physical expansion, or bloating of the clay, leaving it with a lower density, higher porosity, and a much greater surface area within the material, along with a hardened surface – all characteristics that make it ideal for use as a lightweight aggregate. Processing temperature is the most influential factor in the expansion process. Expansion was found to increase along with temperature, to just below the specific clay’s melting point (the melting point varies depending on the type of clay). The study found that the grain size of clay was also an impacting factor, with expansion increasing as grain size is reduced. Pellet or agglomerate size was also found to have an effect on expansion, with expansion increasing in tandem with pellet size. Consequently, a decrease in pellet size correlates with less expansion. The optimal retention time was found to be specific to the type of clay being processed. Optimal retention time was important, as consequences of both inadequate and excessive times were observed. The preferred equipment for carrying out the clay expansion process is the rotary kiln. Rotary kilns are available in either a direct- or indirect-fired configuration and are often referred to as a calciner. The production of expanded clay aggregates is typically carried out in a direct-fired kiln, in which the clay and products of combustion are in direct contact with each other. Direct-fired kilns can be configured for co-current or counter-current airflow, but counter-current is generally a more efficient process setup in this setting. Additionally, opportunity lies in utilizing recovered or recycled clay materials, further pushing the sustainability of this material. In addition to construction and horticulture, LECA is also being examined for use in water treatment and filtration applications. As with many thermal processing endeavors, testing is a critical element of a successful clay expansion operation. Research has shown that the ideal process parameters are unique to the type of clay being processed. Testing clay samples at batch-scale to gather initial process data is the first step in a successful testing program. Data gathered during batch testing can then be used to scale up testing to continuous, pilot-scale runs. Testing can also be used to aid in finding a balance between ideal process parameters and what is economically feasible. 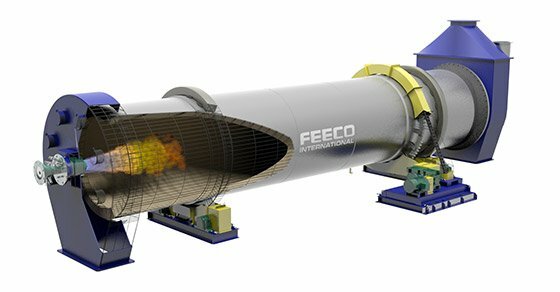 The FEECO Innovation Center offers a variety of test kilns for conducting both batch and pilot testing. Kilns can be configured with various support equipment to simulate different conditions of commercial operation. The testing of various methods of agglomeration may also be combined to develop ideal pellet characteristics for the unique clay source being considered. 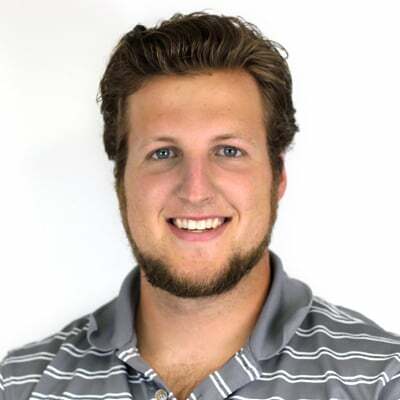 The Innovation Center’s automation control system collects a broad range of data, which can be trended and analyzed in real time for unmatched process transparency. This includes data points such as feed and product rates, relevant temperature readings, system pressures, gas sampling and analysis, and more. Expanded clay aggregates are a beneficial material in the construction industry, with applications in horticulture and water treatment growing. Rotary kilns are the device of choice for processing clay agglomerates into expanded clay aggregates. The ability to optimize process parameters to produce a superior expanded clay product is critical to the success of an operation. 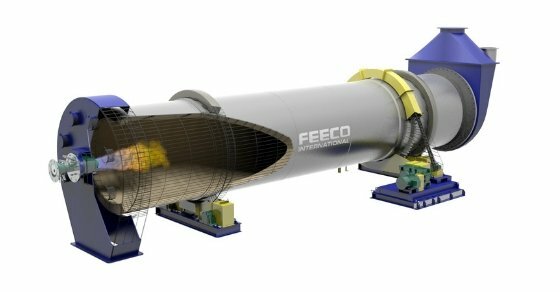 FEECO offers extensive testing capabilities for those in the process and product development stages. 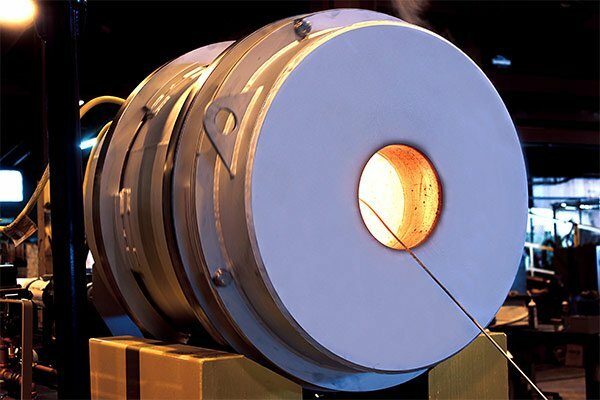 We then use the data gathered during testing to engineer and manufacture custom, commercial-scale rotary kilns of the highest quality. For more information on our capabilities around expanded clay aggregates, contact us today!